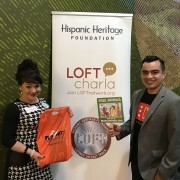 Read Conmigo, our bilingual literacy program, had the honor of presenting at the LOFT Charla Event, sponsored by the Hispanic Heritage Foundation in Miami, FL. Thank you to everyone who made the event possible, for sharing your stories, and for inviting us to speak. It was our pleasure to support Univista Insurance during a community event held in Hialeah, FL where gas was given away for just 99 cents. We enjoyed helping provide economic relief to the community. 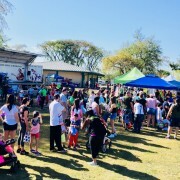 Thank you to Miami Dade County Chairman Esteban L. Bovo Jr. and Florida Senator Rene Garcia for hosting the Annual Easter Festival at Norman & Jean Reach Park. 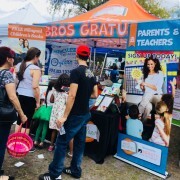 We had a great time promoting reading and bilingualism with the community of Hialeah, Florida. For a video recap of the event, click here. Los Angeles is the city with the largest Mexican population in the United States, and as such, it is expected that Mexico’s Independence Day will be widely celebrated in the city. Traditionally, it is the city hall that initiates the celebration with the Grito de Dolores (Shout of Dolores), which takes place every 15th of September. Hundreds of Angelenos gather to shout in honor of those who proclaimed Mexico’s Independence over 200 years ago. And, since this year, September 16 fell on a Saturday, the celebrations extended over the weekend. 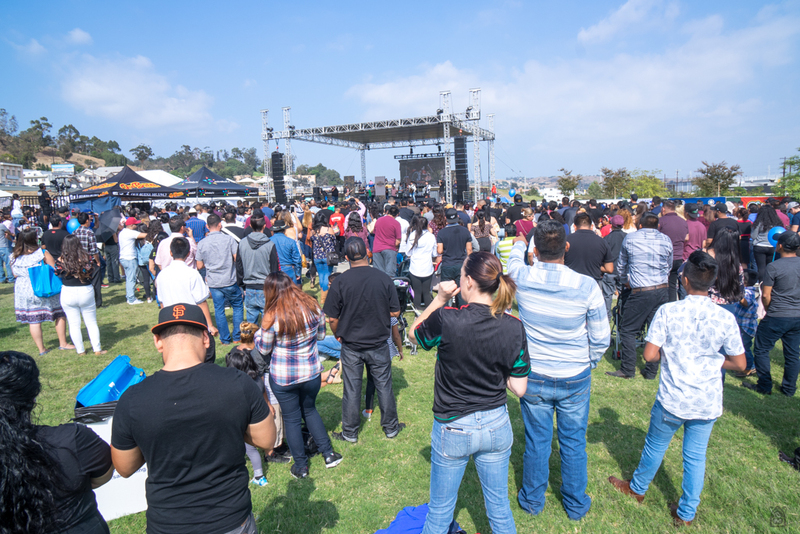 One of the biggest events took place at the State Historic Park in Los Angeles, where a mega-concert was held to celebrate the Mexican Independence Day. 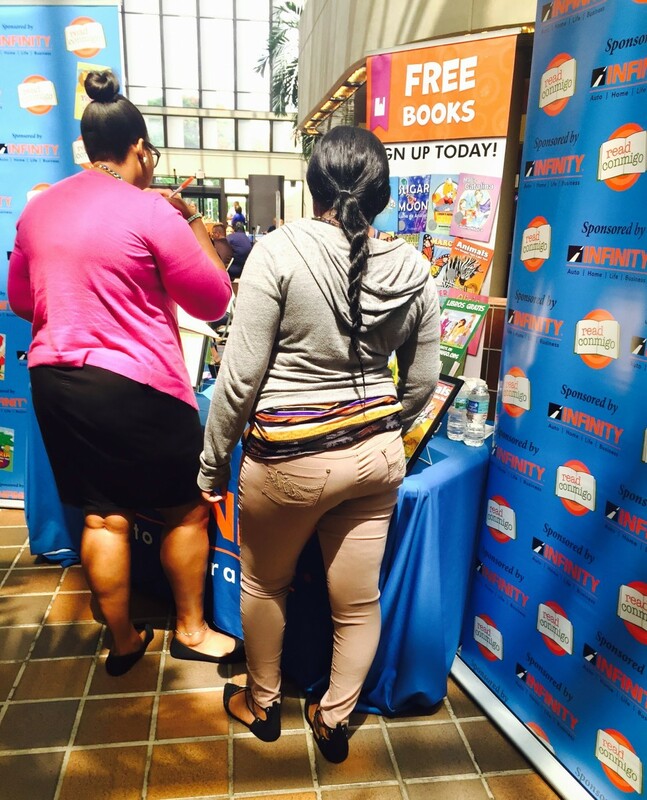 The event was arranged by a local radio station and Infinity’s Read Conmigo program attended the event to promote bilingual reading. The festival started at 11AM and Infinity’s representatives arrived to share the advantages of this program with attendees. 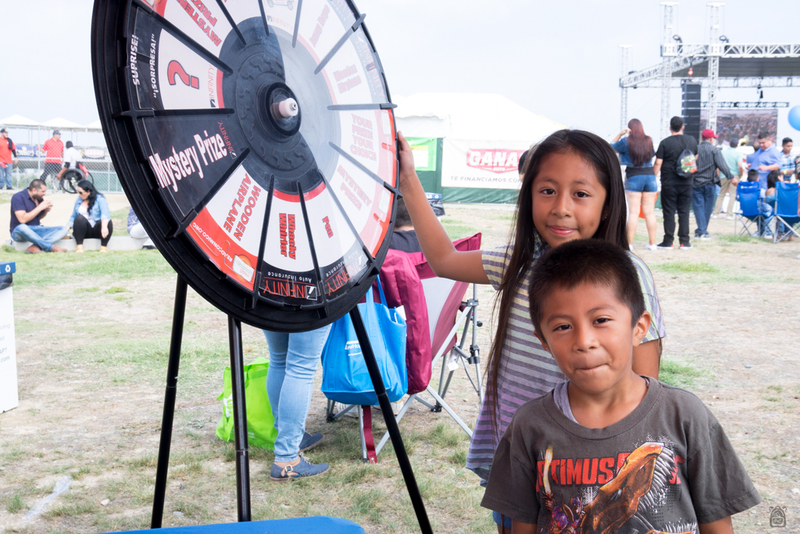 Both children and adults arrived at the booth to join the program and participate in the “wheel of fortune” raffle to get their surprise gift. Boys seemed most excited about the wood planes, while girls really enjoyed the jumping ropes. Dozens of people joined Read Conmigo’s program, something you could easily do yourself by visiting our website. Once you sign up, you will receive 3 books every year and will have access to a digital library with over 40 books in English and Spanish that you can download for free. Read Conmigo’s booth was located next to the main stage where the concerts for Mexico’s Fiestas Patrias took place in Los Angeles. Throughout the day, different regional Mexican bands and singers such as Cristian Nodal, with his hit song Adiós Amor; Voz de Mando; Los Cuates de Sinaloa and Joss Favela performed some of their most popular songs. The radio station that arranged the event also provided attendees with several gifts throughout the day, and the festival lasted until 6:00 PM at the State Historic Park. This music festival is not the only event that the city of Los Angeles will host during the Hispanic Heritage Month. Plaza de la Raza is currently hosting a photo exhibition honoring Latino actors who have succeeded in Hollywood. 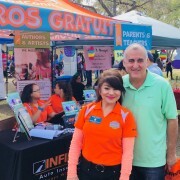 Infinity was one of the companies invited to participate in a special event hosted by Miami Dade County intended to engage and honor its workforce. Miami Dade County Government employs approximately 25,000 people who work hard to provide the best services possible to the county’s 2.6 million county residents. 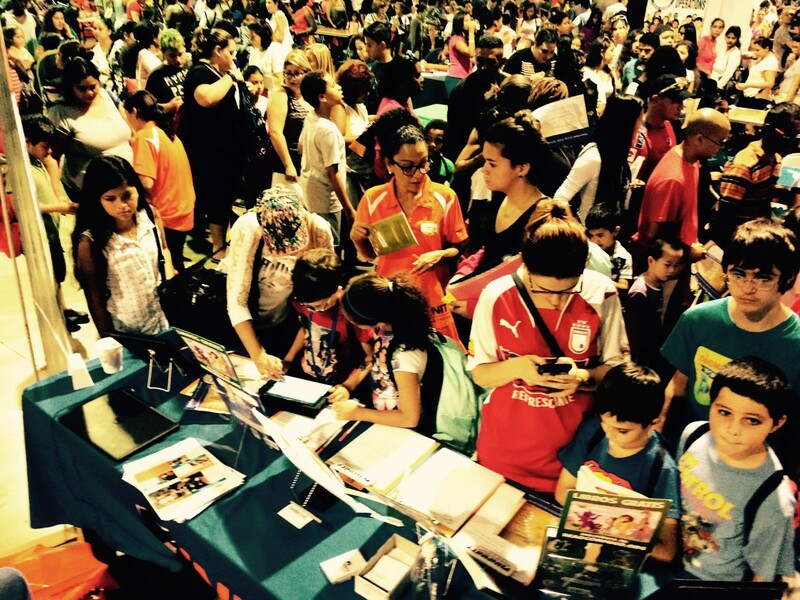 On July 12th select businesses were invited to Worth It Wednesdays, a free community fair held in the city’s main transportation hub, the Stephen P. Clark Center, which is headquarters for Miami-Dade County Government. 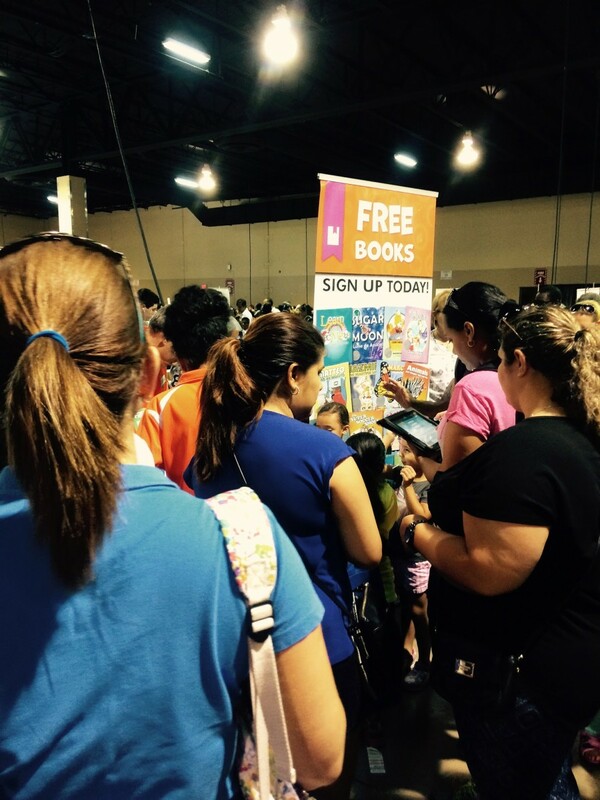 We were pleased to provide county employees with free bilingual books and resources for their families. At Infinity, we too are committed to making our community a better place to live. Thank you to the employees of Miami Dade County for the important work that you do! 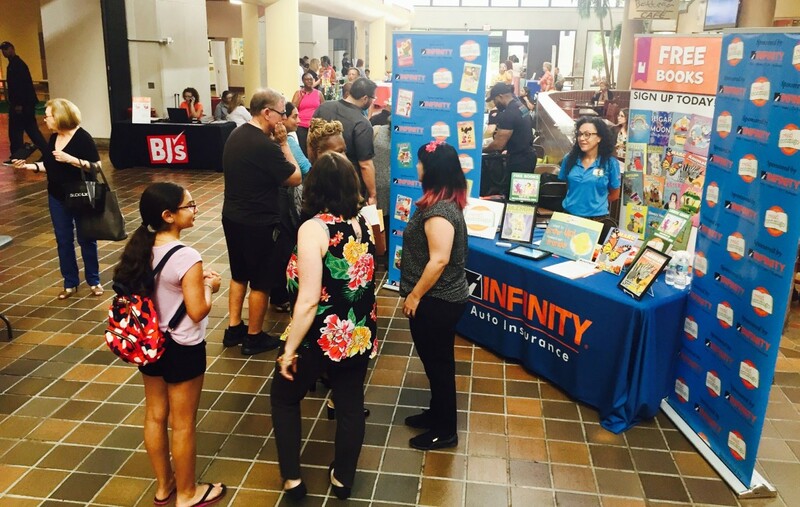 Infinity was proud to participate in Miami-Dade County Public Schools first ever Back to School Health and Family Fair on July 8th, 2017. 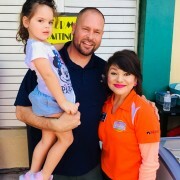 The free event was hosted by M-DCPS and other community resource groups and offered students and their families school uniform assistance, backpacks, school supplies, health screenings and other valuable information about educational and community resources. Over 5000 people attended the four-hour event. Our Infinity team gave away free bilingual books so that parents and children could read together in English and Spanish at home. 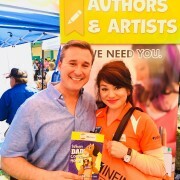 Hundreds of families signed up to receive books by mail. We are grateful to Miami-Dade County Public Schools for giving us the opportunity to help prepare Miami children for Back to School. Infinity is proud to support the communities we serve in many different ways. Our company is involved with great causes such as the education of underprivileged students, and we hope to really make a difference in every community we touch. Infinity started off March 2017 with some great news. 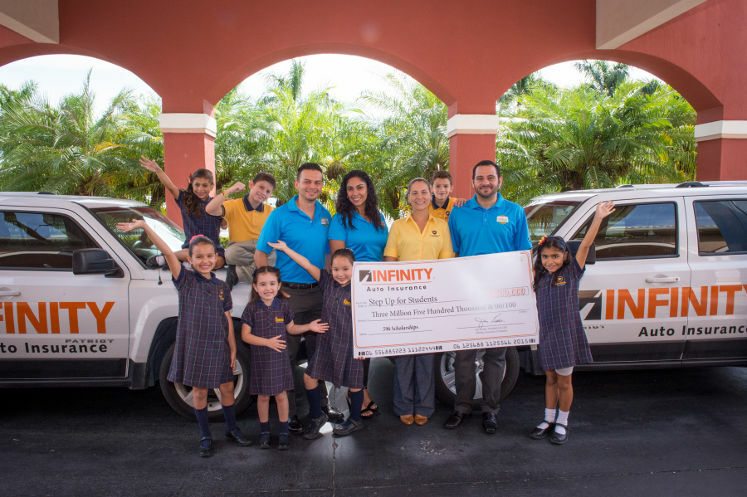 Infinity is a corporate donor to a scholarship program called Step Up for Students, which serves underprivileged students in the state of Florida. We are proud to say that Infinity’s contribution of $3.5 million in 2016 provided 576 of those scholarships. “Step Up for Students is greatly appreciative to Infinity Insurance company for its ongoing partnership,” said Jillian Metz, senior director for SUFS. SUFS has raised more money than any other tax credit scholarship program in the country. It is a nationally recognized organization which has garnered even more attention this month. Denisha Merriweather, the superstar SUFS graduate, was recognized by the president in his State of the Union address. Step Up for Students is an organization which Infinity is proud to support. We look forward to hearing about the success stories of other SUFS graduates, like Ms. Merriweather, in the years to come. 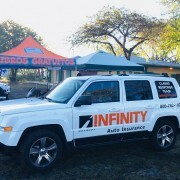 Infinity has a great network of independent insurance agents who sign people up for Infinity Insurance and get them the best deal. Many of our agents are also tax preparers, so when we had questions about Latinos and taxes, we knew just where to turn. Michael Palmer, of Palmer Income Tax in Santa Ana, California, talked with us about filing taxes for undocumented immigrants. The first thing an undocumented immigrant has to do to file taxes is get an ITIN number, and they are in luck if they stop by Palmer’s office. He has agents on hand who have been licensed by the IRS to verify ID and get ITIN numbers from the IRS, greatly expediting the process for his clients. Palmer said his office has filed hundreds of undocumented immigrants’ taxes. “It’s no different with regards to filing,” he said. The difference seems to come into play when it comes to tax credits. Rumalda Medina, of Medina’s Tax and Insurance in Miami, explained that undocumented immigrants can only qualify for the Child Tax Credit and tuition credits such as the American Opportunity Credit. The reason for this is that you must have a valid Social Security Number for other credits, such as the Low Income Credit. Unfortunately, both Medina and Palmer have seen abuse of the Child Tax Credit and other manipulations of undocumented immigrants by crooked tax preparers. One example Medina has seen is tax preparers charging undocumented immigrants the penalty for not having insurance, even though they are not required to be insured. That means the “penalty” goes straight into that preparer’s pocket. “A lot [of people] are uneducated, paying and trusting. When they get audited [the preparer] takes the money and runs,” he said. You can call the IRS to report any concerns at 1-800-829-1040. Joey Hernandez, of JL Hernandez and Associates in Miami, adds that crooked tax preparers file as if their client were filing rather than the tax preparer filing on the client's behalf. Accredited tax offices like his use a pin number that is regulated by the IRS. Hernandez prepares taxes for undocumented immigrants mostly from Mexico. He also files taxes for many Cubans, but they tend to have Social Security Numbers and therefore can file without restrictions. He said about 25 percent of his clients are Latino, but less than 5 percent are undocumented. He has seen these undocumented immigrants be mistreated by former tax preparers, but he feels that it happens to many other people besides just undocumented immigrants. “People [act as though] cheating on their taxes [is] like stealing grapes at the supermarket,” he said. She also advises people to be careful with their refund checks, and not spend it on unneeded items. “Write down the things you want versus the things you need, and save money for a rainy day,” she said. He sees a lot of young, first-time filers who “don’t really grasp” that they won’t get a complete refund. Another interesting event Hernandez has seen is a spike in insurance policies during tax season, because people use their refunds to buy cars or pay the fines to get their license. Tax season can be hard on many people, but especially on those who are not familiar with taxes already, such as first-time filers. The confusion around taxes is multiplied when an undocumented immigrant needs to file their taxes, which is how they often get taken advantage of. Luckily, there are people out there like our Infinity agents who are fighting the good fight as honest tax preparers.